We all have concerns about how our money is being spent by the organizations that we contribute to. After all, it is our hard earned money and we want to makes sure that our donations are being used in a manner that is consistent with our beliefs, interests and desires. The act of determining who is spending your money in an appropriate way isn’t as simple as comparing the management costs vs the program costs and donating to the one with a higher percentage going to the programs and less to payroll and various other activities. Below you will find some guidance from three of the major resources in the nonprofit world in regards to how a donor should look at the overhead an organization might be dealing with. Please, read on with an open mind and then look at our GuideStar profile and consider a small donation. Today is the anniversary of this young man’s death. 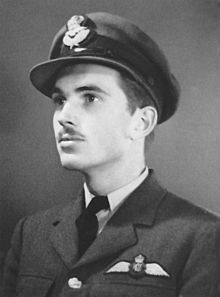 He was a flyer with both American and British citizenship that went to fight for his mother’s home country. He was killed in a simple accident but not before composing a beautiful piece of poetry that is loved by aviators everywhere.